Beckman Coulter Cytomics FC 500 Flow Cytometer System . New Life Scientific, Inc. This Flow Analyzer helps both clinical and basic researchers optimize their overall workflow. 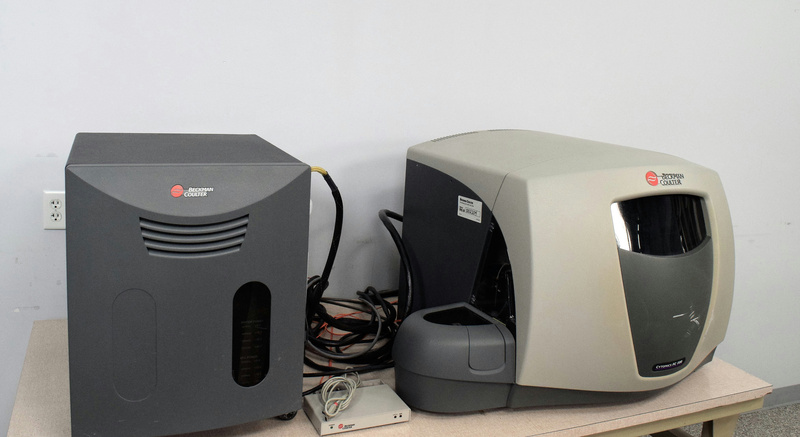 The system has the capacity to conduct 5-color analysis using either a single (488nm) laser or a dual (488nm/635nm) air-cooled laser configuration. This system enables you to easily manage and automate every aspect of you flow cytometric analysis. Our on-site technicians visually inspected and initialized the system. No software was available to further test this system.